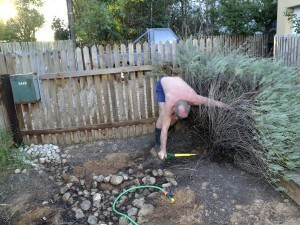 Home > Blog > Gardening > Annuals > The great big gardening makeover! The great big gardening makeover! Hi Chris, I have been so busy with work and stuff this past week, I hardly had a moment free! So now I have to catch up on all my posts I have been saving up! 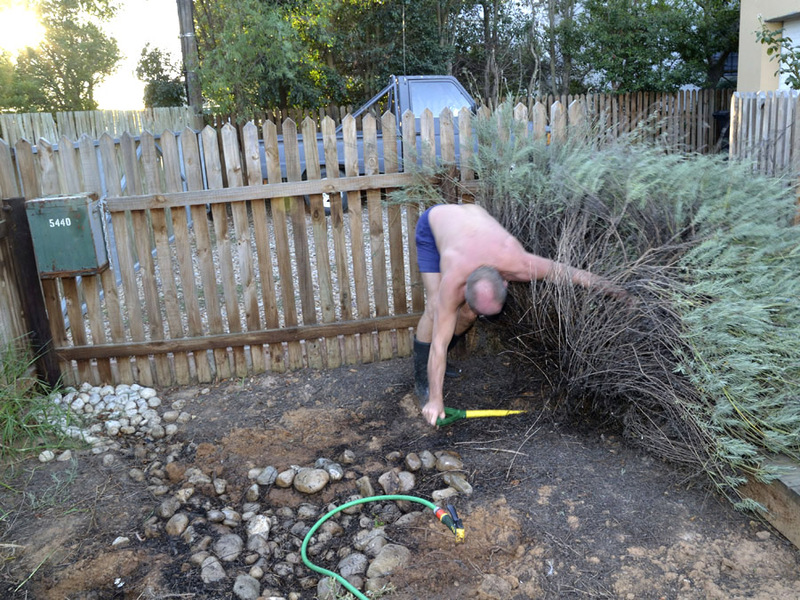 I am so inspired and excited to let you in on my BIG gardening makeover. After our trip to Elgin I have been reading and researching on grasses and paths and designs and permiculture. I am ready for a totally new garden. I have even inspired my wonderful hubby – when he took one look at the beautiful grasses I bought at Fairholme Nursery. I also wanted a tree for this area and remembered I saw this beautiful tree when we took that trip to the Cape Garden Centre and I fell in love with this one tree. I had to know what it was – asking the nursery staff for the name. I knew I had to have it. Then you told me about this place that sells big trees!!! Yes, I went to Trees-SA in Stellenbosch today to order my tree – the Leopard Tree/Brazillian Ironwood. Well, I am so in love with this tree I had to have TWO! So they are going to deliver them next week! Yey! You will love this place! We have to add this to our list of places to visit! So here is PART 1 of the Grass Feature Project! We are removing the overgrown lavender bushes in the front of the garden. The next post will be on the grasses. This is going to be a beautiful feature! I can’t wait to show you the final look! 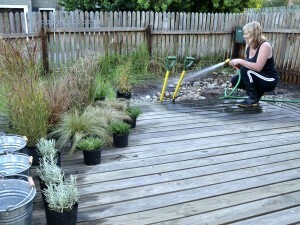 Here you can already see the grasses all lined up on the deck and I’m giving them a watering! 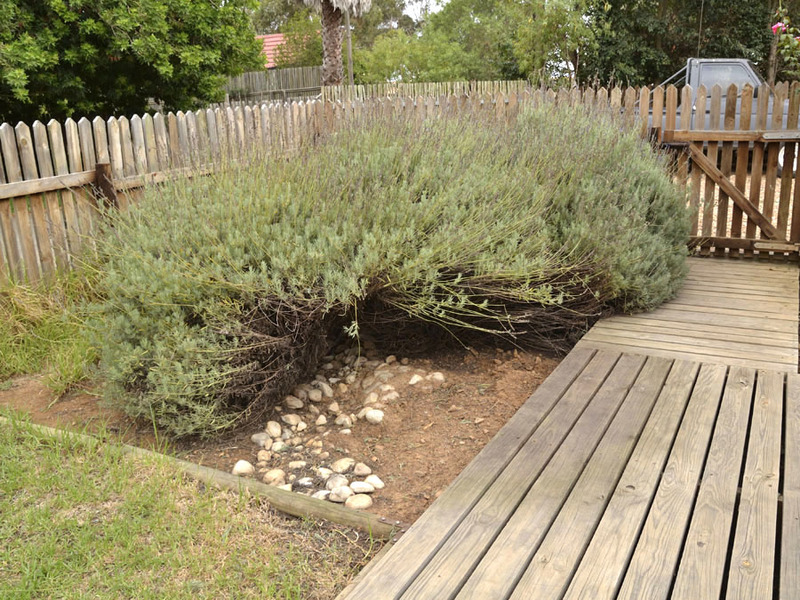 You can also see the dried river bed feature I added to this bed when the lavender was still small. You could not see it anymore, so just as well the lavender is now gone. It just occured to me – one of the best things about a “Grass Garden” like you have planned is how water-wise and low maintenance it is going to be!. Very, very cool! Oh yes – very, very cool! Something we all have to look at. AND with the tree casting a dabbled shade it will bring a coolness to this very hot area in summer. I can totally transform this area! I think its going to look Spectacular!! So excited for you! Can’t wait to see it all planted – hope you do two posts – I want to see photos of how they come and plant the trees!! Oh for sure – I will document the whole process! Can’t wait!!! It already looks so nice with just the grasses placed willy-nilly. Just shows you how you can transform a small area and the totally new look you give the whole garden AND get inspired again! Yes I agree! The great thing with the trees is they will give you some privacy! The grasses look so gorgeous in the photo – you bought well! I can’t wait to see it.